A Platypus Never Forgets. Perhaps it would be a good idea for Dr. Doofenshmirtz to remember that. Where's My Water? grabbed headlines earlier this week, and today, it's all about Where's My Perry? Disney announced it has updated the game with 20 brand-new levels, neatly deposited into a bundle called A Platypus Never Forgets. 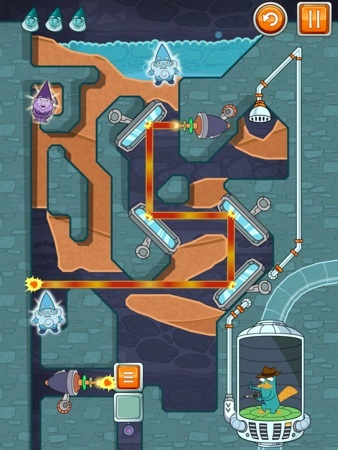 Once again, players must contend with puzzles created by the diabolical Dr. Doofenshmirtz. This means reflecting laser beams off a series of mirrors while searching for hidden gems and two bonus stages full of collectible gnomes. Download, you must.